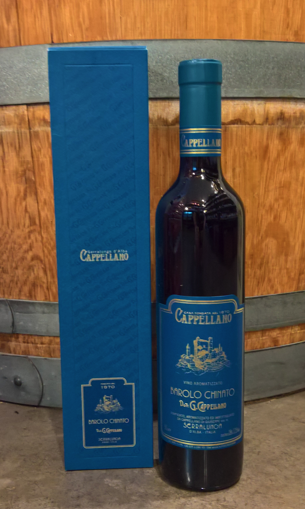 NV Cappellano 'Barolo Chinato' 500ml. Barolo-ITALY. Barolo's answer to Amaro. An infusion of Barolo Nebbiolo fruit with quinine, cloves, wormwood, cinnamon and a small amount of cane sugar. Try a piece of winemaking history from one of the most traditionalist and greatest family of winemakers in the world.